OPC structure would be similar to that of a proprietorship concern without the ills generally faced by the proprietors. One of the most important features of OPC is that the risk mitigated is limited to the extent of the value of shares held by such person in the company. This would enable entrepreneurial minded persons to take the risks of doing business without bothering the litigation and liabilities which have been attached with the personal assets. In OPC (One Person Company) the business head is the decision maker, he is not dependent on others for suggestions or implementation of suggestions etc., resulting in quicker and easier decision making. He is the sole person who runs the business and hence, the question of consensus or majority opinion etc., would not arise. 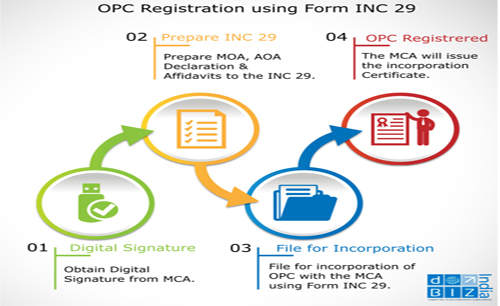 If a business currently runs under the proprietorship model, it can easily get converted into OPCs without any difficulty. OPC require minimum capital, to begin with. Being a recognized corporate it could raise the capital from others like venture capital, financial institutions, etc., hence it can uplift itself as a private limited or a public limited company under the Companies Act. 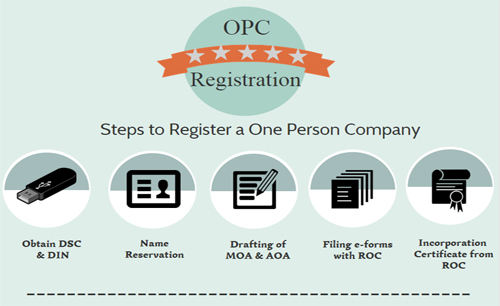 Solubilis Corporate Services LLP, Chennai, Tamil Nadu, India, offers OPC - One Person Company Registration services and OPC Registration Process and Procedure in Coimbatore, Chennai, Bangalore, Hyderabad, Kerala, Tamil Nadu, and Karnataka. A desire for personal freedom allows the professional, skilled person to adopt the business of his choice. Personality-driven passion and implementation of a business plan. An aspiration of the entrepreneurial person leads to taking the extra risk and willingness to carry out some additional responsibilities. Personal commitment to the business motivates him to create more ideas and obviously, it will be very close to his heart. It is run by individual yet OPCs need to obey some company rules similar to that of any registered corporate. OPCs would provide the start-up entrepreneurs and professional the much-needed flexibility in setting up a business in India without losing the professional control over the business idea. OPCs provide the required freedom to the professional who would like to come out of the shackles of big corporate and can be independent. OPC provides an outlet for the entrepreneurial impulses among the professional. The most significant reason that a shareholder to incorporate the one person company is certainly to avail the benefit of limited liability. 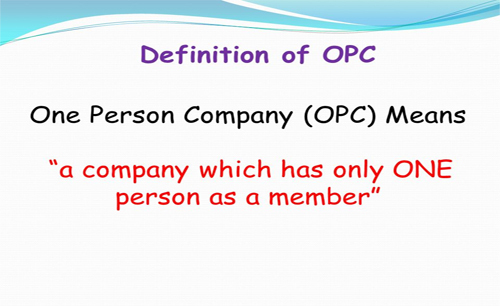 OPC give a dual entity to the company and the individuals, guarding them against any pitfalls or liabilities. This is actually a fundamental difference between OPC and sole proprietorship. 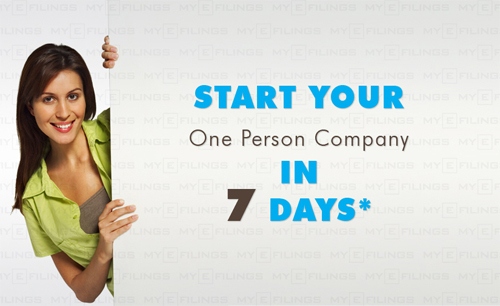 Unlike a private limited or public limited company (listed or unlisted), OPC (One Person Company) need not bother too much about compliances.